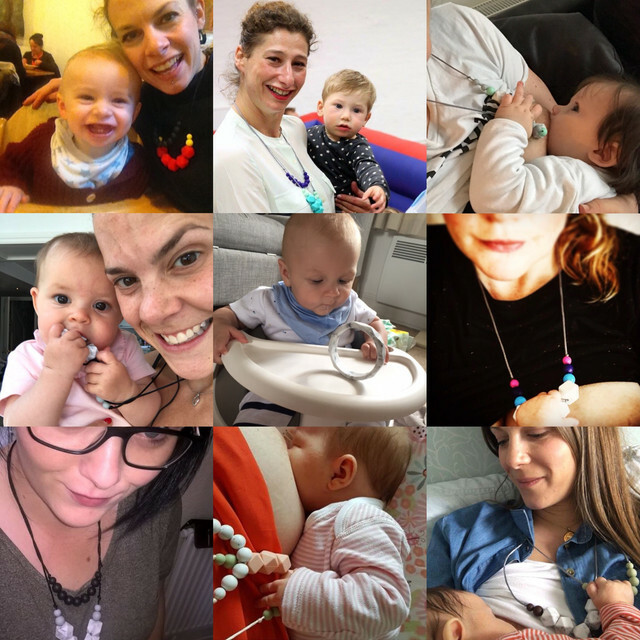 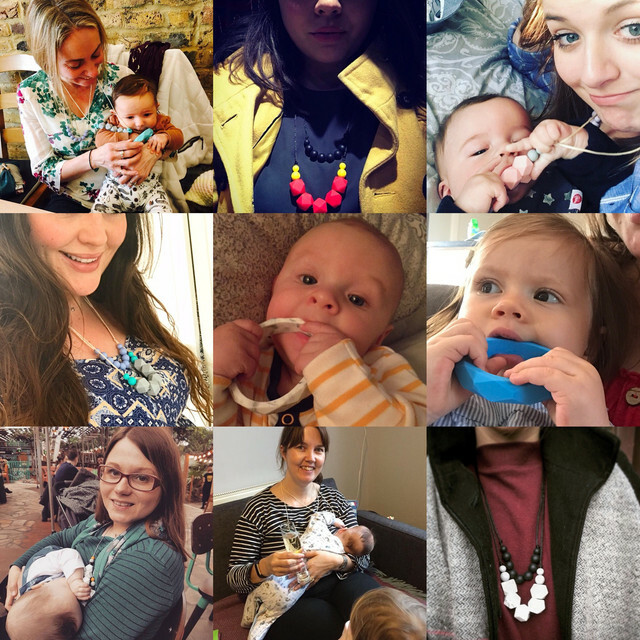 We LOVE getting your pictures - seeing what you wear your jewellery with and seeing your babies enjoying it is what makes all the late nights worthwhile! 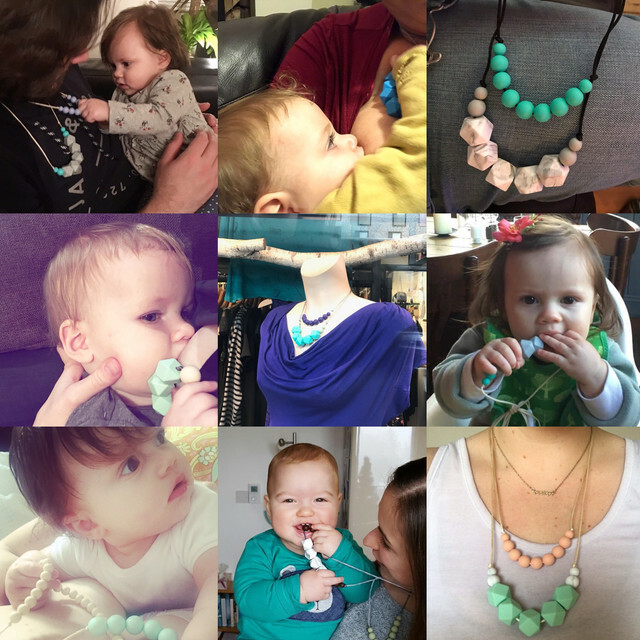 But we also know as keen online shoppers ourselves that it really helps to see REAL people wearing/using the jewellery. 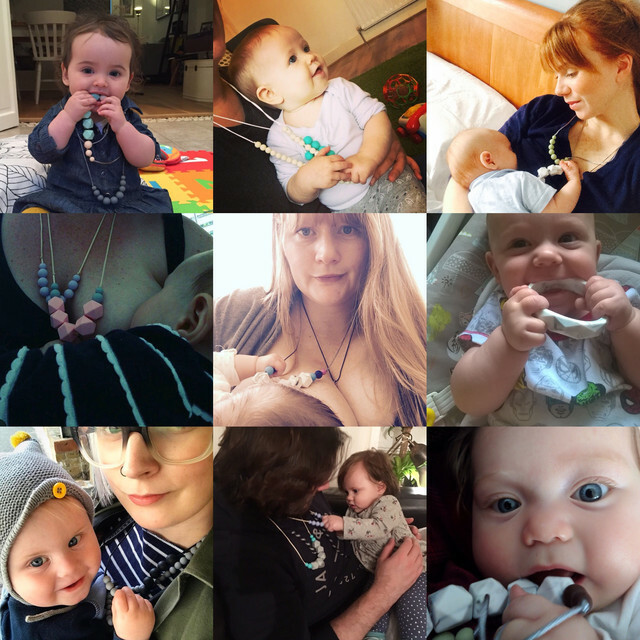 Always make sure babies are supervised with necklaces as they aren't toys, and make sure your babies chew the beads and not the clasp/cord.